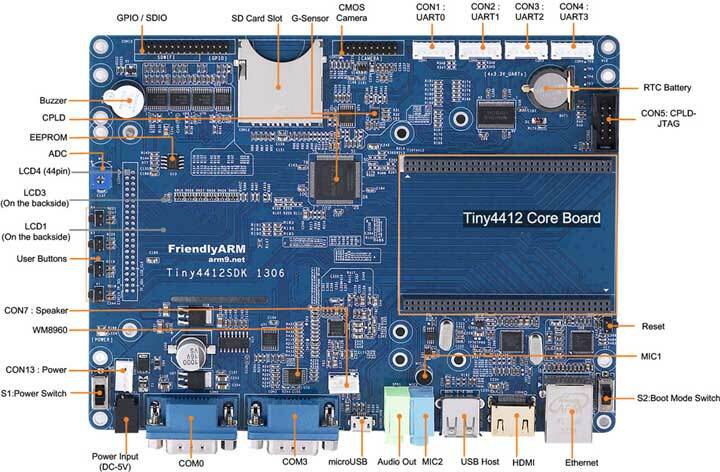 Tiny4412 is a high-performance quad-core Cortex-A9 core board, from FriendlyArm design, production and distribution sales. 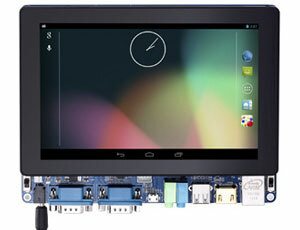 It uses Samsung Exynos4412 as the main processor, running at up to 1.5GHz. Tiny4412 Contain one CPU board(CM-Tiny4412) and one base board(Tiny4412SDK). The CPU board(CM-Tiny4412) use a 2.0mm pitch double-pin (P1, P2, P3, P4) that lead out 208Pin, which size is 74x55mm. 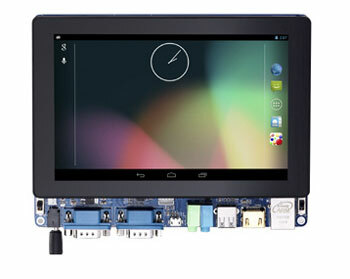 It comes standard with 1GB DDR2 memory and 4GB of high performance eMMC flash (optional 8/16/32GB eMMC Flash). The interface define for Tiny4412SDK is as follow, the current version is Tiny4412SDK 1306. HDMI 1.4a Output, Support MPEG-4/H.263/H.264 format and 1080P@30fps HD play. 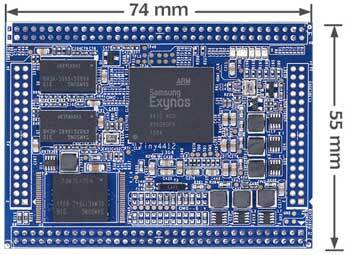 CoreWind also offers customer design service based on the Tiny4412 board according to customer’s requirement. Whether you need to reduce, add or modify to existing hardware, CoreWind will help customers with expert competence and rich experience.